It’s sunny days and warmer temperatures, with a slight breeze chilling off the skin ever so slightly, mixed with the smell of freshly mowed grass. It’s dusty gloves and ball caps, with grass-stained pants. It’s softball (and baseball) time once again. 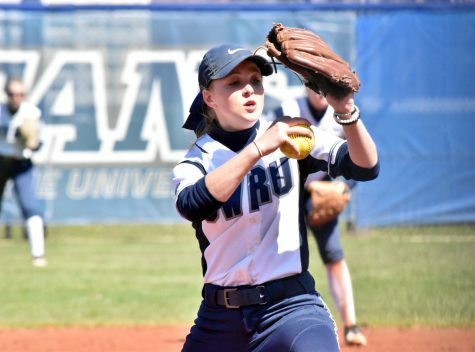 The Case Western Reserve University softball team will look to improve upon a 20-17 campaign last year, in which the team went 7-6 in University Athletic Association (UAA) games. The team does return a lot of starters and key contributors from a year ago, but there was one significant loss: all-around player Annie Wennerberg. “It may seem like one person, but she filled many roles,” mentioned Head Coach Josie Henry. 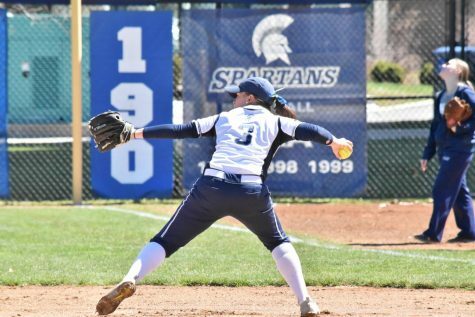 Wennerberg finished her career as the all-time school leader in home runs (33) and wins as a pitcher (53) and is third all-time shutouts, strikeouts and runs batted in. Now, Wennerberg is an assistant coach for the team. To try and replace the standout Spartan, twelve first-year players are on the roster and some will even compete for starting spots, said Henry. 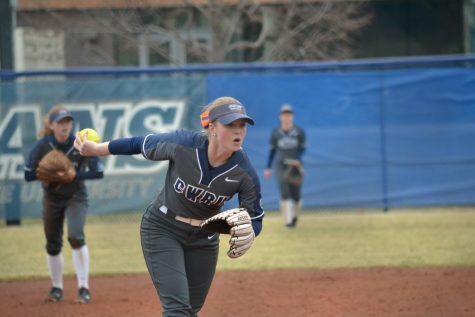 In addition, fourth-year infielder Maren Waldner explained that second-year transfer Ilissa Hamilton from Drexel University will be “doing a lot of pitching and also contributing at the plate.”Hamilton is expected to be the main pitcher this year for the team, according to Henry. 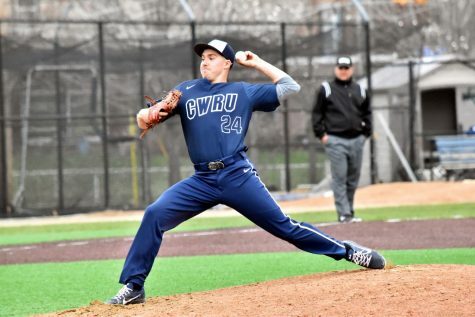 The returning fourth-year players are all very strong and will hold down first base, second base and center field, as well as contributing to the pitching rotation. 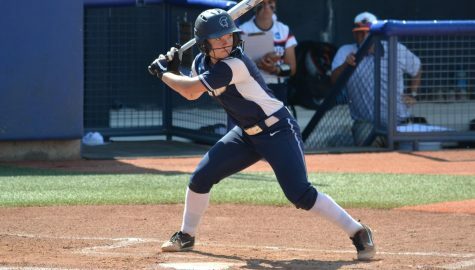 Katie Wede and Katie Dzierwa join Waldner and Tritchler in their final season, a group Henry raved about as “unique and special.” At shortstop, third-year player Nicole Doyle will attempt to build off of her stellar 2017 season, in which she led the team in batting average (.391) and earned UAA First Team honors. “Goofy and competitive” is how Tritchler described this team. 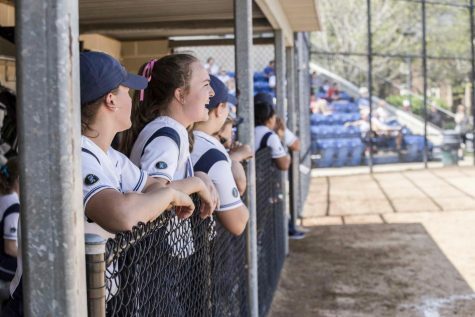 “I think the new players have a really positive attitude coming into the season and they’re fairly lighthearted, but as individuals we are all still extremely competitive and I think these two things will allow us be successful,” said Tritchler. Henry added that the team chemistry this year is very noticeable, an aspect that can help a team win close games. She also mentioned that the team’s dedication and work ethic have been equally impressive. As to how to improve upon an above .500 season a year ago, Waldner would like to see more “feeding off of other’s success. When someone gets a hit or on base we need to do a good job of keeping that positive energy going for better results overall.” Perhaps this will be more pervasive if the team chemistry is indeed strong. Looking at the schedule, Waldner, Tritchler and Henry all identified the UAA games as the top priority. However, Henry admitted that the Spartans need to win the games that they should win to ensure they have a chance to receive a bid for the national tournament. Winning non-conference games will also help build momentum for the UAA matches later in the season. The women will see the field for the first time on March 3 as they travel to Virginia for the Emory & Henry Tournament. Their toughest competition could come in UAA play, as Washington University in St. Louis is currently ranked No. 17 in Division III. Until then, the team will take it one game at a time.